Actor Thornton Edwards — real-life hero of the St. Francis Dam Disaster of 1928 — plays a minor role in "Desperate Cargo" (Producers Releasing Corp., 1941), a low-budget crime drama starring Ralph Byrd, Carol Hughes, Jack Mulhall and Julie Duncan. 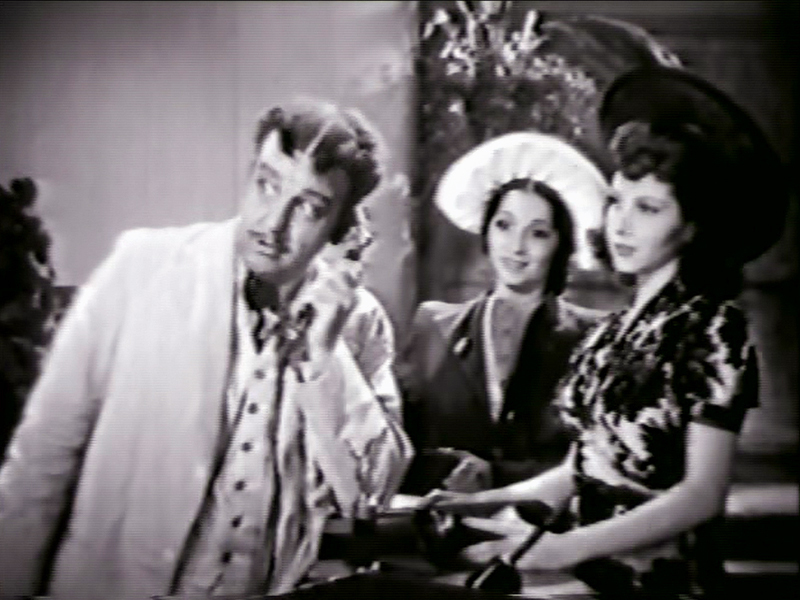 Edwards appears briefly as Manuelo, a heavily Latin-accented hotel manager on a make-believe Latin American island. LW2405: 9600 dpi jpeg from screenshot.